THE FORMER CELLMATE of Ibrahim Halawa has said he is delighted at the Irish man’s release and has strongly defended him against criticism. Speaking on RTÉ’s Morning Ireland, journalist Peter Greste – who spent over a year imprisoned in Egypt - said that it was “wonderful” that he had been released. “Having him acquitted of all charges is wonderful news,” said Greste. “I always knew that, I was always very aware that Ibrahim was innocent. I never saw anything to suggest that he was guilty of anything while I was in prison so I would back him all the way. Greste was working for the international news organisation Al Jazeera when he was arrested along with colleagues in December 2013, a number of months after Halawa’s arrest. He was found guilty on charges of falsifying news that damaged the reputation of the state and spent a total of 400 days in prison before being deported to Australia. 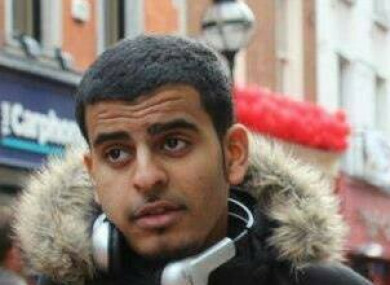 Halawa (21), an Irish citizen, was arrested during a protest in 2013 in support of the Muslim Brotherhood’s Mohamed Morsi who had been ousted from power in a military coup. His trial was delayed several times over four years before he was acquitted of all charges yesterday. The men shared a cell for a time while they were both imprisoned in Cairo. Commenting on questions and criticism directed towards Halawa’s supposed connection with the Muslim Brotherhood, Greste said the man had nothing to answer for. “Those questions are ridiculous. Ibrahim is a young, idealistic man,” said Greste. “He was demonstrating for what he believed in, he was behaving completely within the law. He did absolutely nothing wrong and I think there should be no question whatsoever that he should be free to go. I think any criticism of Ibrahim in that regard, any of those questions that you mentioned are absolutely spurious and ridiculous. Greste said that Halawa was expressing his views and had a right to do so. “I think frankly it is quite a shameful indictment on people that are asking the questions themselves that they can’t acknowledge that in a functioning democracy people are allowed to express their views and that’s what Ibrahim was doing – nothing more, nothing less,” he said. “You can agree or disagree with those views but he wasn’t guilty of terrorism, he had no particular association with the Muslim Brotherhood. The Egyptian authorities have spent the last four years trying to prove a connection, they were unable to do it so I think that issue is off the table. Greste said that Halawa would find it “extraordinarily difficult” to adjust to life outside of prison. “There’s always going to be a tendency, a desire to want to get back to normal,” he said. “The first thing he’s got to realise is that there will be no such thing as normal any longer. He cannot go back to his old life after an experience like this. After all the attention that his case has received, going back picking up where you left off is just simply not an option. Greste said that it was important for Halawa “to recognise that time wasn’t wasted, that there was a point to it all”. Whatever that point is he needs to find it but he needs to recognise that he needs to turn the experience that he went through into something positive, into something beneficial. Halawa is due to return to Ireland within the week. Email “'You can disagree with those views but he wasn't guilty of terrorism': Ibrahim Halawa's former cellmate”. Feedback on “'You can disagree with those views but he wasn't guilty of terrorism': Ibrahim Halawa's former cellmate”.